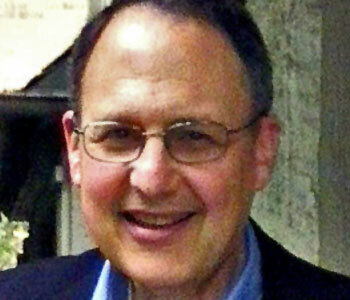 On his book Why Don't American Cities Burn? 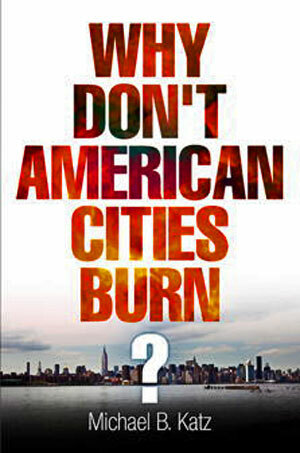 Why Don’t American Cities Burn? is about the collision between urban transformation and rightward moving social politics. A series of economic, demographic, and spatial changes have transformed American cities, producing an urban form unlike any other in history. At the same time, American politics has been moving right. Federal and state governments have been cutting the safety net, reducing aid to cities, attacking trade unions, allowing the value of the minimum wage to erode, and, whenever possible, applying market-based solutions to public business. The coexistence of these trends produces a collision with ordinary people caught in the middle. The evidence is all around us in rising rates of poverty and homelessness, declining real wages, decayed inner cities, failing public services, home mortgage foreclosures, high unemployment, and mass incarceration. What is amazing is how quietly all this happened. In contrast to the 1960s and early 1970s, American cities did not burn. Until Occupy Wall Street in 2011, people did not take to the streets or mount massive protests at increased inequality and its sources. And, when in 2011 they did, the protests were remarkable for their non-violence. There was nothing in America like the spring of 2005 in France where riots broke out in about 300 cities. Why did American cities not explode as they had forty or fifty years earlier? The first answer is negative: the lack of civil violence did not mean that the conditions that sparked earlier riots had disappeared. For the most part, they persisted and in some instances worsened. The second answer is that all violence has not disappeared. Rather, it has turned inward—away from collective protest and toward intrapersonal violence among residents of the nation’s de-industrialized cities. Why have black men unable to leave bleak inner-city neighborhoods vented their rage on one another and not, as they did forty or fifty years ago, on the agents and symbols of a politics, culture, and economy that exclude them from first-class citizenship? The third answer is that a combination of three factors helped account for the near disappearance of civil violence: they are a shift in the ecology of power, the management of marginalization, and the incorporation and control of immigrants. By a shift in the ecology of power, I mean major changes in the demography of city populations, where they live, and who holds power. The management of marginalization refers to a whole series of new methods for managing or containing poor people that result in a depoliticization which makes collective action difficult. The incorporation and control of immigration points to the distinctive way in which the nation deals with its newcomers. Birth-right citizenship incorporates the second generation into citizenship, and naturalization remains relatively easy while fear of deportation works as a potent form of social control.